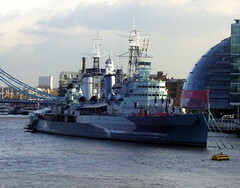 The HMS Belfast, a World War II light cruiser, is moored across the Thames from the Tower of London. It opened as a London attraction in 1971. 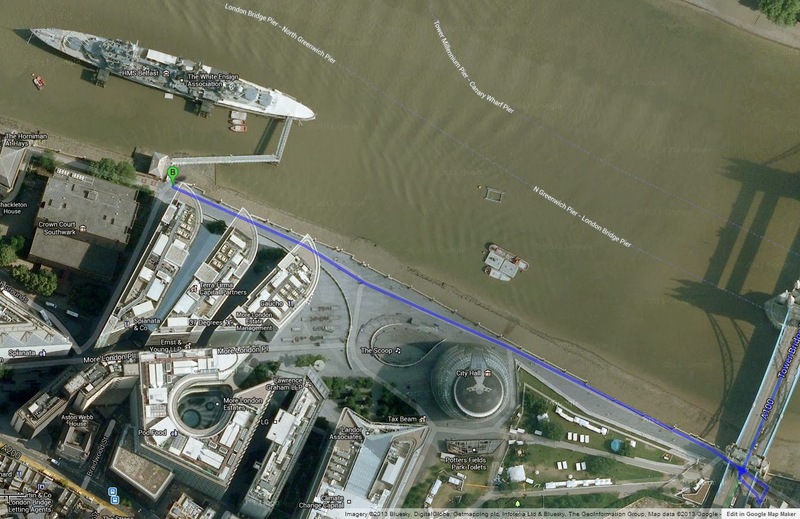 We plan on getting there by walking across the Tower Bridge and arriving fairly early in the morning – about 10:45. It is recommended to spend at least 90 minutes, with most people staying between 2 to 3 hours. We are going to try to squeeze it in to about an hour and a half. It will be easy enough to stay a little longer if we are interested. It will simply bleed into lunch. The Royal Navy probably didn't have tourists in mind when the designed the Belfast. There are lot of steep ladders in this visit, spread out over 9 decks. This may be difficult for some people and you may also want to consider not wearing a skirt or kilt when going to visit. The museum is laid out in a pre-designed pattern to follow the tour and provided an audio guide included in the admission for those that are interested. You enter the Belfast aft on the quarterdeck. In other words you come up on the back part of the ship on the main deck. The tour will bring you inside on this main level and bring you from the back to the front of the ship. 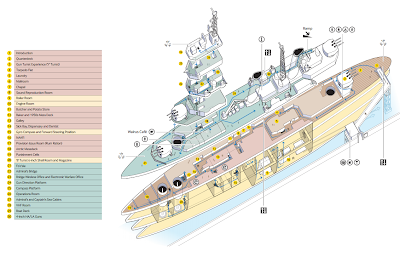 There are 3 dips into the lower level to see the boilers, engines and shell rooms, before heading up to the upper deck. Eventually we will head up all the way to the top of the tower. In the tour you will see the admiral's bridge, the kitchen, hospital and even the insides of the gun turret. The operations room seems to have received the most positive comments. Bathrooms and food are available on board at the Walrus cafe, which is conveniently located at the end of the tour. We will be skipping lunch there and heading back on land. The menu for the cafe can be found on the Belfast website. You can get a sandwich, chips and soda for £4.50. 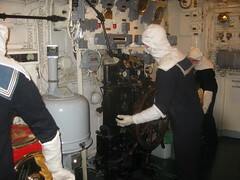 An example of what the Belfast was capable of, this YouTube video shows a firing drill.